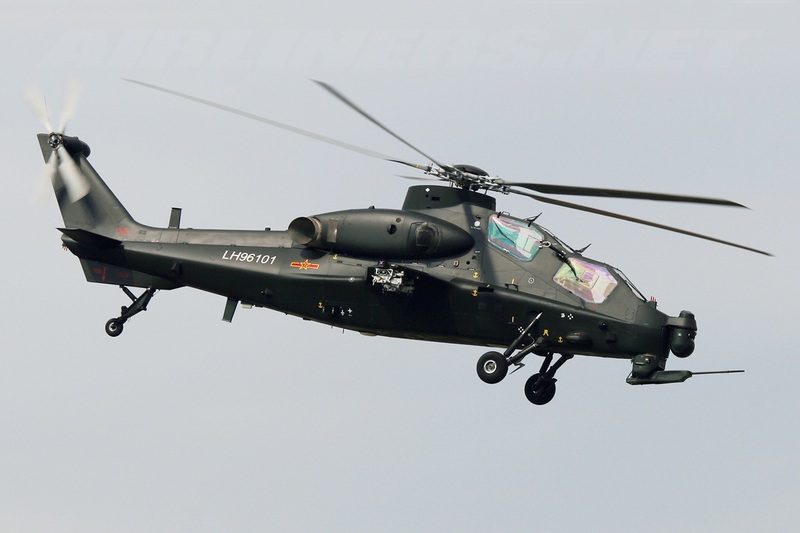 The aftermath of the Z-10 project, the WZ-10 was created by the cooperation of the CHRDI and Changhe Helicopter Aviation Industry Group. 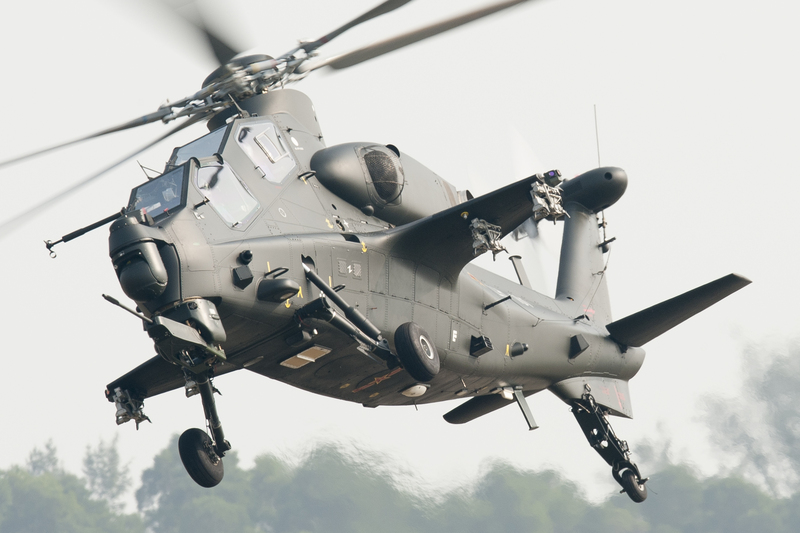 The attack helicopter has an ordnance load of 1,500 kg and is powered by two turboshafts positioned on the center of the fuselage sides to prevent the harm of both from a single attack. The engines have exhaust/air mixers to reduce the IR signature of the aircraft. The attack helicopter can be equipped with: up to eight ATGMs; a 30-mm cannon mounted as a chin turret; short ranged IR-homing AAMs. Navigation equipment consists of electro-optical sighting and satellite systems. All numeric values are estimates published in 2008 and will be updated. Dimensions are estimates published in 2008 and will be updated. Resources related to the WZ-10 , provided by the Vertical Flight Society. Resources related to the WZ-10 , provided by public sources across the internet.